Sadly, it seems as if there is a celebrity death each day lately. Today, we not only lost Don LaFontaine but we also lost Jerry Reed. 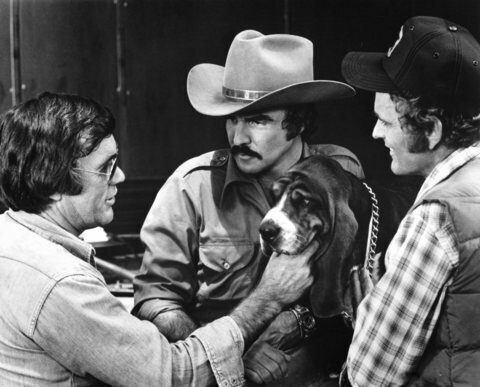 Reed, who starred in action movies such as “Smokey and the Bandit,” died of complications from emphysema at the age of 71. Sony BMG Nashville Chairman Joe Galante called Reed a larger-than-life personality. Reed’s catalog of country chart hits, from 1967 through 1983, were released under the label group’s RCA imprint. In the mid-1970s, he began acting in movies such as “Smokey and the Bandit” with Burt Reynolds, usually as a good ol’ boy. But he was an ornery heavy in “Gator,” directed by Reynolds, and a hateful coach in 1998’s “The Waterboy,” starring Adam Sandler. Reed and Kris Kristofferson paved the way for Nashville music personalities to make inroads into films. Dolly Parton, Willie Nelson and Kenny Rogers (TV movies) followed their lead. Jerry Reed starred with Burt Reynolds in several blockbuster movies, recorded three No. 1 country singles, wrote one of Elvis Presley’s biggest hits and developed a fingerstyle guitar technique that other musicians are still analyzing to this day. When he died Monday (Sept. 1) at age 71, the entertainment world lost a genuine original who helped take country music and the country lifestyle to a larger mainstream audience. Following a two-year stint in the military, Reed moved to Nashville in 1962 and began work as a session musician while writing songs such as Porter Wagoner’s “Misery Loves Company,” a No. 1 single in 1962. In 1964, he joined RCA Nashville’s artist roster at the urging of label executive Chet Atkins, one of Reed’s biggest supporters. In 1967, Reed landed his first single on Billboard’s country chart. Although the track, “Guitar Man,” peaked at a dismal No. 53, the song got the attention of Presley, who recorded the song and wanted Reed to recreate the funky guitar riff he used on his original version.